Camo is trendy again this fall season and here is my tribute to living in the suburb jungle. Olive green and camp patterns go with a variety of colors and great to pair with pop of color shoes and accessories. 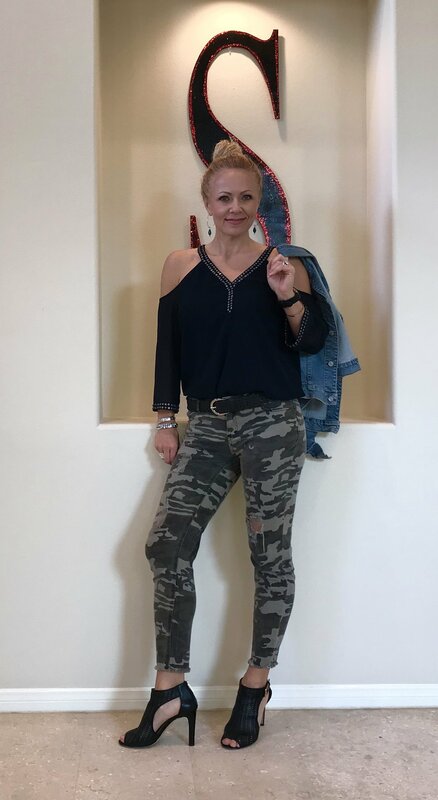 Easily dressed up or made casual camo pants are my fall staple go to item. My items below are from TJ Maxx, Nordstrom,. Nordstrom Rack and Saks off 5th Ave.